This hidden gem called Serenity Getaway Estate sits 100 yards from the water's edge in the quaint little Hawaiian town of Hauula. This 5-bedroom 3-bath home has been recently refurbished and you will find your stay to be comfortable. The unit is clean and modern and is better priced to boot. You can't beat the ocean breeze blowing in through the windows and the incredible views. The property is also located within 5 minutes of the Polynesian Cultural Center, the number 1 attraction in all the islands!!! Right in front of the home is a great snorkeling area and all around are hikes and Hawaiian fun to be had. Also, within minutes away from the house are world famous beaches like Hukilau Beach (yes the beach from the Bing Crosby song), as well as restaurants, grocery shopping and all the things you will need to be comfortable. Still, this home is located in the more rural parts of the island, so while you will have all the amenities you need you will still have the natural beauty you would expect when visiting such an exotic place like Hawaii. You won't regret staying in this home. We look forward to sharing our aloha with you. For those who appreciate getting the real Hawaiian experience, comfortable surroundings, and natural beauty this is the place for you. We had plenty of room for our party of 19. The kids loved sleeping on the air mattresses on the deck. The beach was great. Had it to ourselves most of the time. The owners were very kind and helpful. When I viewed the pictures of this rental, my thoughts were that it couldn't be that nice in reality, but it was exactly as shown. 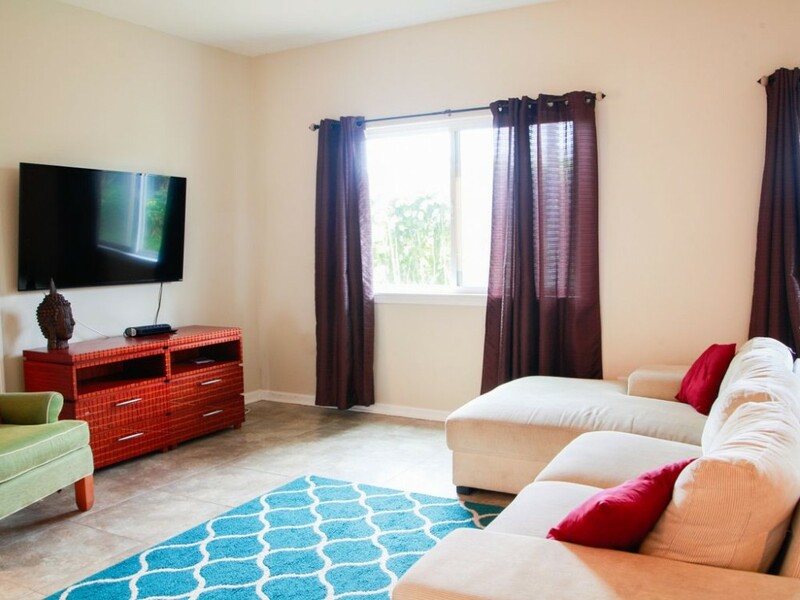 Spacious, beautiful, clean, stand alone rental with everything you could possibly need. Very reasonalbly priced. Downstairs was like a separate home, private doors to inside and outside of the home. It had a kitchen and large living space as well. Fully stocked kitchen upstairs and downstairs, washer and dryer, lots of extra blankets, bath towels, beach towels, bed sheets and even sleeping pads. Bedrooms were all very cozy and comfortable. Nice size porches with comfortable chairs. Supplied gas grill. Ceiling fans throughout the house also standing floor fans in each room. It was hot during our stay so all the fans were nice to have. The unit is located in a nice friendly neighborhood area and just 2 blocks from the beach. Easy walk to several restaurants, grocery stores and post office. Parking was great for our 2 SUV's in the driveway. My family and I enjoyed our stay very much. We will definitely stay there again and recommend to all our family and friends. My favorite part of the trip was waking up each morning to enjoy my cup of coffee on the east porch with beach view and graceful ocean breeze! Thanks for a great home away from home, blessings!